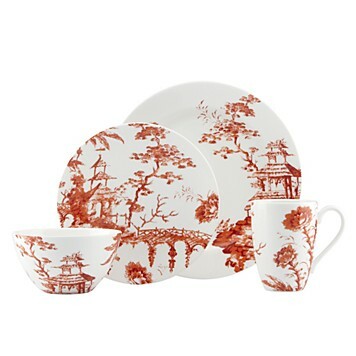 This is too good to be true - Scalamandre china at $70 a four piece place setting. 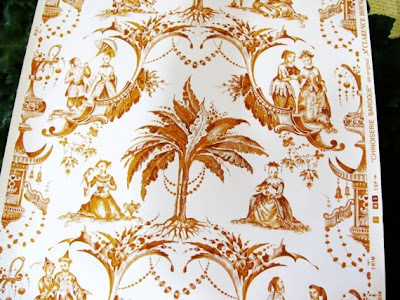 Adapted from the 18th-century artwork of Jean Baptiste Pillemont, a charming scene composed of oversized flowers, fretwork fences, pagodas and parasols decorates this fine dining collection from Scalamandre by Lenox. The colors are wonderful - amethyst (purple), sienna (orange), teal (blue), and chocolate (brown). If you are not in the market for a new set of china, buy the dinner plates or accent plates by themselves to mix and match with your existing white china. 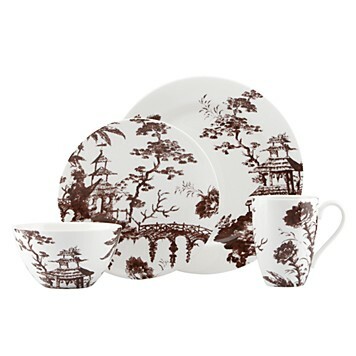 This china would be amazing in my own dining room. I think the purple is calling my name. Here is my dining room wallpaper. I love mixing orange and purple with Chinoiserie - so modern. 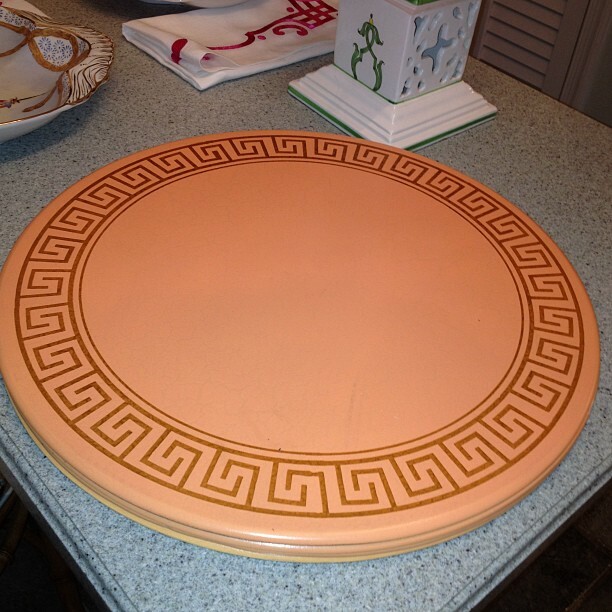 Check out what I found this week at my thrift store - a set of four brand new Dransfield and Ross Greek key place mats with their original $90 a piece price tags. I got them for $12 for the set of 4!!! 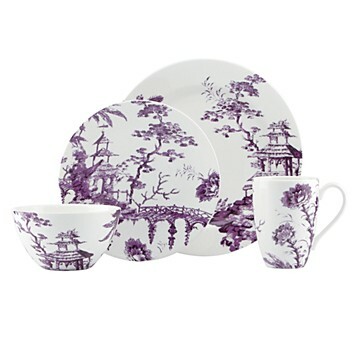 Adore the China in Amethyst and Sienna and those place-mats, a great score Beth! Love it! Have you seen the Scalamandre Zebra China? It's more than $70/place setting but it's gorgeous! 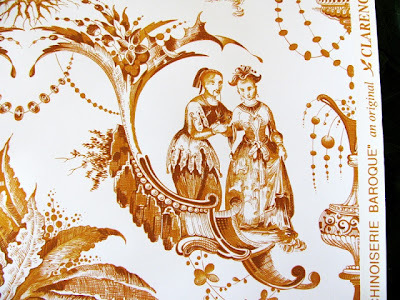 I worked on a table for Kansas City's DIFFA Dining by Design for Scalamandre featuring their china, you should check it out! Absolutely gorgeous!! I'm also crazy about the Zebras line of china and barware Scalamandre released earlier this year as well. Great find on those fabulous chargers!! I love a bargain! 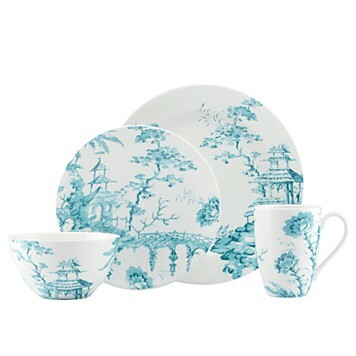 This china caught my eye a few weeks ago, the teal is just everything!